Raigarh, Chhattisgarh, Feb 8: Firing a broadside at Congress and other rival political parties’ bigwigs, Prime Minister Narendra Modi – in now-familiar lingo – averred on Friday that the “watchman” would not remain a petrified bystander to their large-scale interlacement. “Those who are part of that intermixture themselves perpetrate graft and are hand in glove with the corrupt. 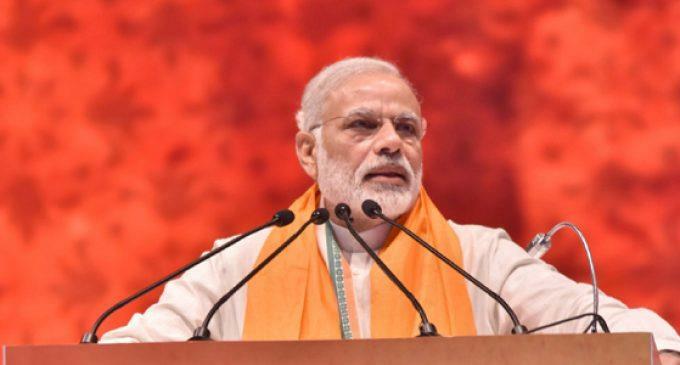 Those leaders have a solitary criterion – how many abuses can be hurled against Modi,” he said while addressing a public meeting in this district headquarters within Congress-ruled Chhattisgarh. Without naming Congress President Rahul Gandhi, the visiting politician alleged that every member of a “celebrated” family is involved in some case or the other including land and tax scams – they are either out on surety or taking advantage of anticipatory bail.